Drew Blythe Barrymore (born February 22, 1975) is an American actress, producer, director, author, model and entrepreneur. She is a member of the Barrymore family of actors, and the granddaughter of John Barrymore. She achieved fame as a child actress with her role in E.T. the Extra-Terrestrial (1982). She is the recipient of several accolades, including a Golden Globe, a Screen Actors Guild Award, and a BAFTA nomination. From the Wedding Singer, one of my favorite rolls she has done. Abū-Muhammad Muslih al-Dīn bin Abdallāh Shīrāzī (Persian: ابومحمد مصلح‌الدین بن عبدالله شیرازی‎), better known by his pen-name Saadi (سعدی Saʿdī( Sa’di (help·info))), also known as Saadi of Shiraz (سعدی شیرازی Saadi Shirazi), was a major Persian poet and literary of the medieval period. He is recognized for the quality of his writings and for the depth of his social and moral thoughts. Saadi is widely recognized as one of the greatest poets of the classical literary tradition, earning him the nickname “Master of Speech” (استاد سخن) or “The Master” among Persian scholars. He has been quoted in the Western traditions as well. 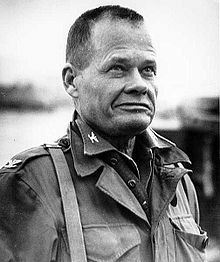 Lewis Burwell “Chesty” Puller (June 26, 1898 – October 11, 1971) was a United States Marine Corps lieutenant general who fought guerrillas in Haiti and Nicaragua and, as a senior officer, served with distinction in World War II and the Korean War. Puller is the most decorated Marine in American history. He is one of two United States servicemen to be awarded five Navy Crosses and one Army Distinguished Service Cross. Puller’s six crosses are next in number to the eight times Eddie Rickenbacker received the nation’s second-highest military award for valor. Puller retired from the Marine Corps in 1955, after 37 years of service. He lived in Virginia and died in 1971, at age 73. Heard this many times, but never knew who said it. Now I know. John Towner Williams (born February 8, 1932) is an American composer, conductor, and pianist. With a career spanning over six decades, he has composed some of the most popular, recognizable, and critically acclaimed film scores in cinematic history, including those of the Star Wars series, Jaws, Close Encounters of the Third Kind, Superman, E.T. the Extra-Terrestrial, the Indiana Jones series, the first two Home Alone films, Hook, the first two Jurassic Park films, Schindler’s List, and the first three Harry Potter films. Williams has been associated with director Steven Spielberg since 1974, composing music for all but three of his feature films. Other works by Williams include theme music for the 1984 Summer OlympicGames, NBC Sunday Night Football, “The Mission” theme used by NBC News and Seven News in Australia, the television series Lost in Space and Land of the Giants, and the incidental music for the first season of Gilligan’s Island. Williams has also composed numerous classical concertos and other works for orchestral ensembles and solo instruments. From 1980 to 1993 he served as the Boston Pops‘s principal conductor, and is currently the orchestra’s laureate conductor. 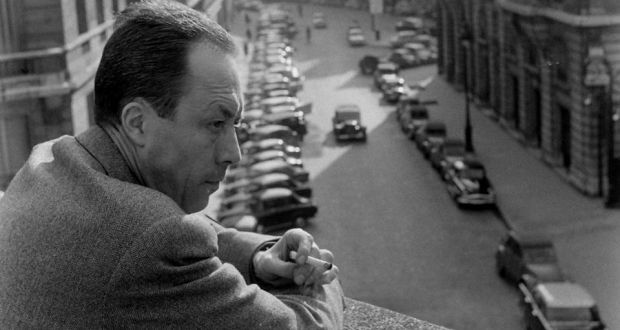 Albert Camus (; 7 November 1913 – 4 January 1960) was a French philosopher, author, and journalist. His views contributed to the rise of the philosophy known as absurdism. He wrote in his essay The Rebel that his whole life was devoted to opposing the philosophy of nihilism while still delving deeply into individual freedom. 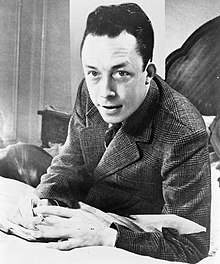 He won the Nobel Prize in Literature at the age of 44 in 1957, the second youngest recipient in history. Milena Markovna “Mila” Kunis (born August 14, 1983) is an American actress. In 1991, at the age of seven, she moved from Soviet Ukraine to the United States with her family. After being enrolled in acting classes as an after-school activity, she was soon discovered by an agent. She appeared in several television series and commercials, before acquiring her first significant role at age 14, playing Jackie Burkhart on the television series That ’70s Show (1998–2006). Since 1999, she has voiced Meg Griffin on the animated series Family Guy. David Weinberger (born 1950) is an American technologist, professional speaker, and commentator, probably best known as co-author of the Cluetrain Manifesto (originally a website, and eventually a book, which has been described as “a primer on Internet marketing”). Weinberger’s work focuses on how the Internet is changing human relationships, communication, knowledge and society.